One person is dead and three others injured after a shooting inside a 'residential speakeasy' in Camden early Saturday morning, 3/16. It happened around 3:15 a.m. on the 600 block of Ferry Avenue. Officers heard gunshots coming from the residence used as an illegal after hours club. The four victims inside were transported to Cooper University Hospital. 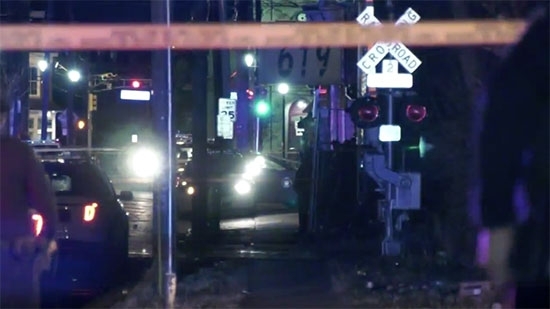 27-year-old Resean McCormick of Camden was pronounced dead at 4:30 a.m. A 35-year-old male, a 24-year-old male, and a 25-year-old female are still being treated. A suspect is in custody. Former Philadelphia Phillie Lenny Dykstra had the most serious charges dropped and then pled guilty to disorderly conduct on Friday, 3/15, for an incident last year in Linden, NJ, with an Uber driver. Superior Court Judge Lisa Miralles Walsh reduced a charge of third-degree terroristic threats to a petty disorderly persons offense and dropped drug possession charges. Dykstra was fined $125 for the disorderly conduct charge. The incident happened in May 2018. Dykstra hailed an Uber and upon entering the vehicle he apparently asked the driver to change the destination from what he entered in the app. The Uber driver says that Dykstra threatened to kill him when the driver refused the change. He then drove to straight to the police station with the baseball player still in the back. Dykstra says that the Uber driver kidnapped him. Police did not find a weapon, but they did find marijuana, cocaine and ecstasy in Lenny's possessions. He is still dealing with trouble for illegally renting out rooms in his Linden home. Five people were injured after a row home fire in the Wynnefield Heights neighborhood of Philadelphia early Saturday morning, 3/16. It started around 2 a.m. on the 2100 block of North 50th Street. Some of the victims had to jump from a second floor window. One injured his back in the fall. Another suffered serious burns. They all had smoke inhalation. Neighbors noticed heavy smoke and one tried to help put out the flames with his own hose, but it spread too quickly. The five men all work at a gas station down the street. The owner of the row home also owns the Gulf station. The cause of the fire is under investigation.